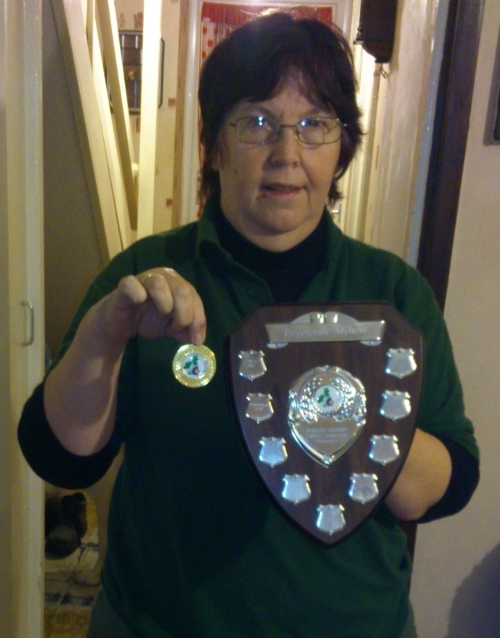 Beryl proudly shows off her trophy. 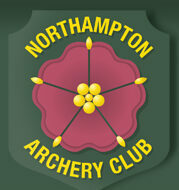 NAC performed well again in the Targetcraft 6th Open Portsmouth Tournament at Rothwell on the 2nd December. In the single rounds – David Quemby received a bronze for the Gents Compound, Christine Gibson a Silver in the Ladies Recurve, whilst Beryl Tabberner achieved a Gold and Trophy in the Ladies Barebow. David Quemby and Pamela Joseph received a silver in the couples awards, whilst NAC achieved a bronze in the Team section. In the Double Rounds – Mick Lovell and Christine Gibson came second in the Gents and Ladies Recurve rounds respectively. Steve and Christine Gibson went on to receive Golds in the Triple Recurve Rounds. Christine also set a new county record in the triple round (along with club records for double and triple). Another good day for our club.